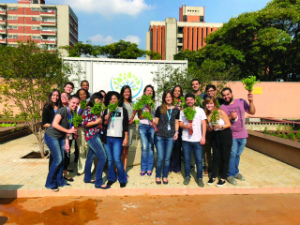 Our employees in Sao Paulo, Brazil – who want to eat healthier – have to go no further than the cafeteria, where they can choose from a wide selection of organic produce. But there’s something different about these fruits and vegetables – most of them are grown on-site, in a sustainable organic garden that utilizes the food waste generated by the same company cafeteria. Since it was launched in 2017, the sustainable garden has provided a healthy source of organic cabbage, lettuce, spinach, seasonal fruits and a wide range of herbs. It has also decreased – by 64% – the amount of organic food waste from the site that previously was transported to a landfill. 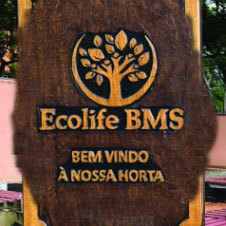 The 370-square-meter garden uses 750 kg of organic food waste generated from the company cafeteria each month. The waste is put through a grinder and composted using enzyme accelerants that make it ready for the garden in just seven days. Sao Paulo’s temperate climate ensures an almost year-round growing season for vegetables and fruit, which are rotated in the garden throughout the year. The cafeteria’s head chef also has a say in what is grown, so menus and dishes can be planned around what is available. Sometimes there is so much produce that the cafeteria cannot use it all, so the excess food is given to employees. The idea for the sustainable garden came from the annual intern challenge, sponsored by the Environmental, Health and Safety team. The annual intern challenge is an initiative promoted by Human Resources to improve business processes and the development of interns. 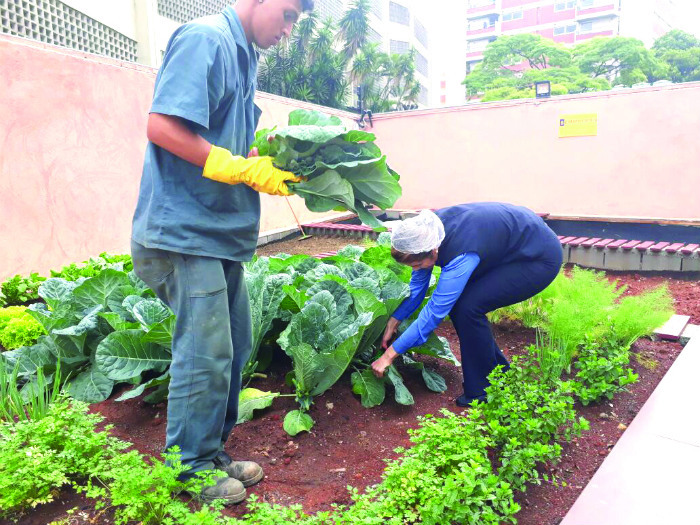 The sustainable garden has been well received by the site’s 280 employees – they enjoy a view of the flourishing greenery as well as eating the produce. During Safety and Environment Week, a garden specialist offers a workshop to teach employees everything involved with maintaining a sustainable garden at home.